Organize your recipes and your grocery shopping. Organize your recipes and plan healthy meals. 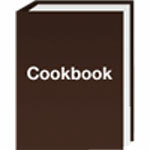 Free Recipe Software To Collect And Organize Recipes. Free online tool to make nutrition facts labels.